Let's explore Thai local culture at Khlong Lat Mayom and Taling Chan floating markets in one day. Of course! there are lots of great foods there. Don't be shy and try some of dishes you have never eaten before and enjoy boating from Khlong Lat Mayom to Taling chan floating market. Arrive at Khlong Lat Mayom floating market, take your time to wander along the canal to see local life and food market. There are variety of stalls at the market are located on both of land and boat. Take 120 minutes boat trip to Taling Chan floating market and we will visit Wat Kho temple to explore Thailand’s rural life. Come back to Khlong Lat Mayom Floating Market and let's find out the variety of foods, organic fruit and products on the rowboat riding in the water before leaving there. Drop you off at Bang Wa BTS station. 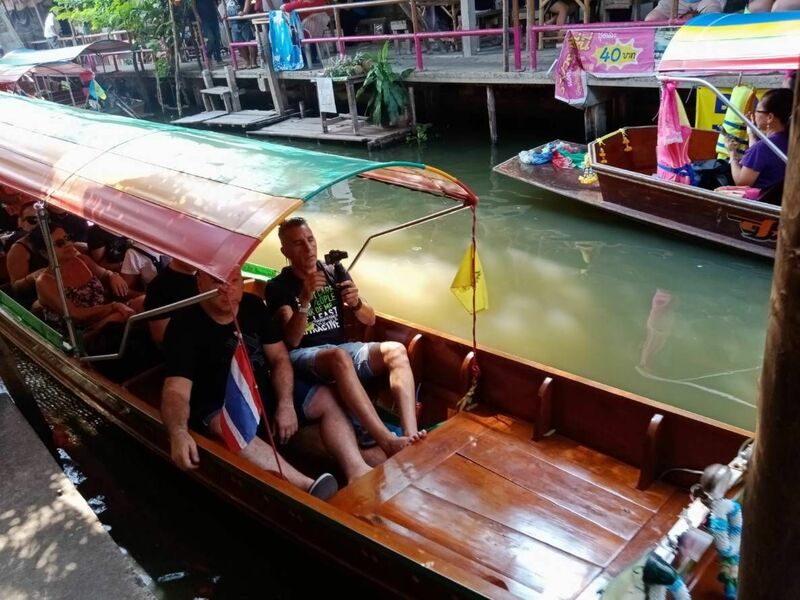 I will bring you discover and adventure at Klong Lat Mayom and Taling Chan floating market by long-tailed boat to see rural Thailand's villages there and enjoy tasting many local foods. Pranom is very knowledgeable about the best food in China town. She will make sure you go home complete full! Amazing trip and amazing food highly recommend.